In the meantime Happy Magic-ing! 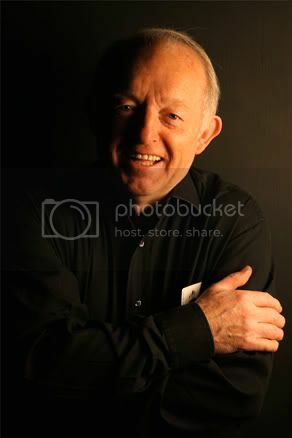 We're saddened to learn of the passing of the amazing Paul Daniels and we join the magic fraternity in sending our heartfelt condolences to the family & friends of the late great Paul Daniels. 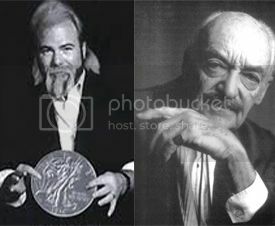 The magic fraternity is dealt with a double blow today to learn of the passing of 2 of greats of close up magic - magician and coin magic innovator Dean Dill and the amazing Rene Lavand. The magic world owes much to both of them and the void left behind can never be filled. Rest In Peace and thank you. 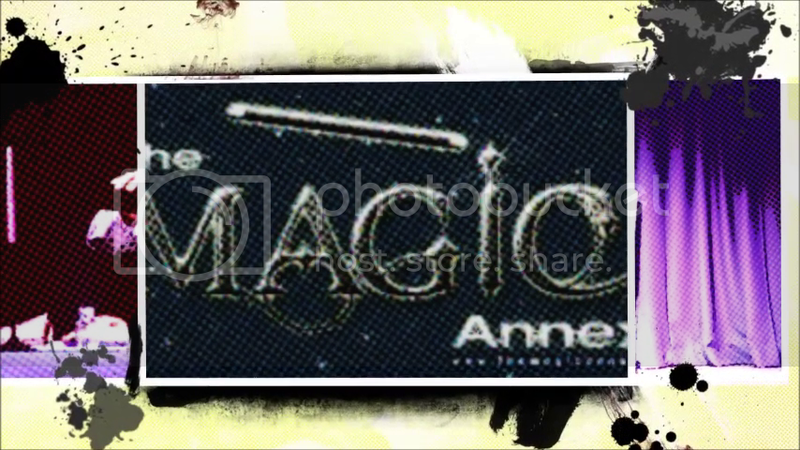 The Magic Annexe goes BOOM! We have just learned of the passing of Aldo Colombini from a Facebook post by his wife, Rachael Wild Colombini. 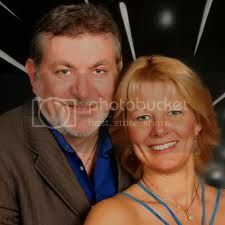 "It is with great sadness that I inform you all of the passing of my dear husband Aldo Colombini. Sleep tight my angel !" We would like to join the magic fraternity to offer our thoughts and prayers to Rachael in this time of grief. R.I.P. Aldo. Thank you for sharing the magic with us. 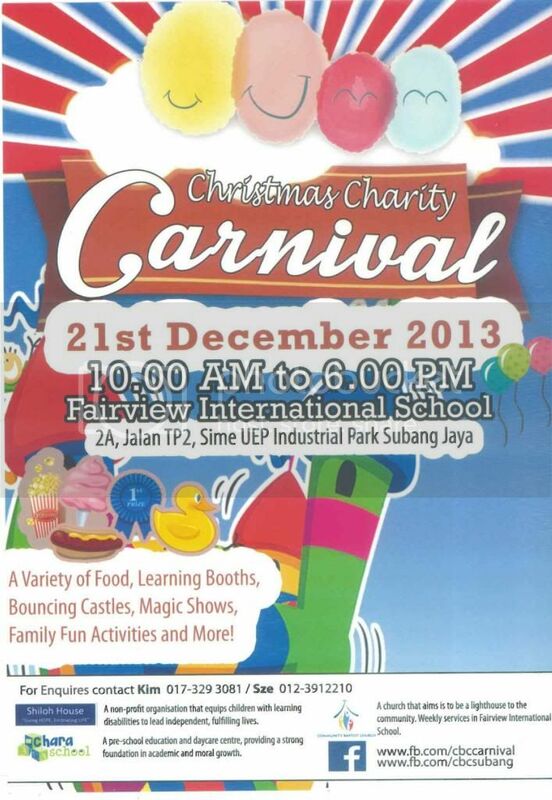 The Magic Annexe was on hand to help raise funds during the Christmas Charity Carnival back in December 2013. We provided the entertainment to visitors, as well as opened a booth selling magic props and 10% of all proceeds were donated to charity. 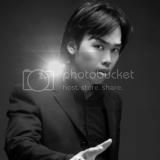 We managed to catch up with the very busy but talented man of many hats, Malaysia's own David Lai, mentalist, entrepreneur, magical show producer and also the director of Genting's Superstars of Magic! He shares with us a peek into the exciting world of a magic show producer & director. Ladies and gentlemen, we present to you In The Spotlight - David Lai ! 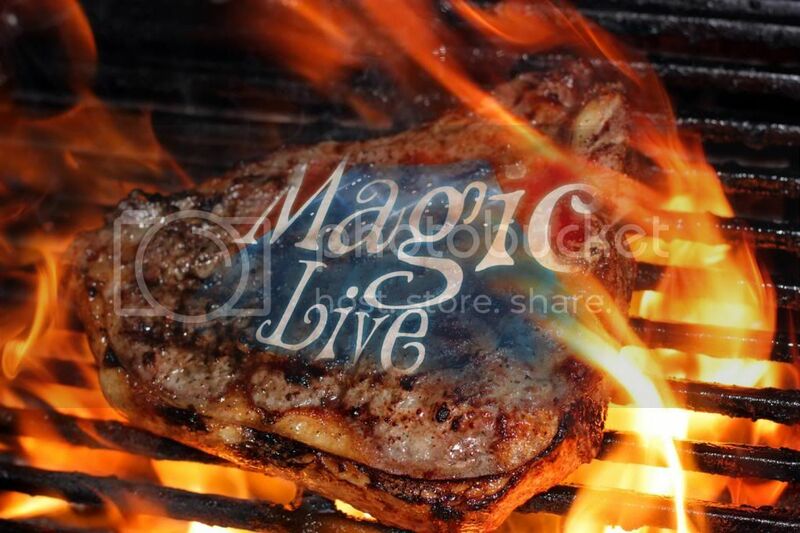 In The Spotlight : Anslem Roy Grilled on MAGIC Live! MAGIC Live! 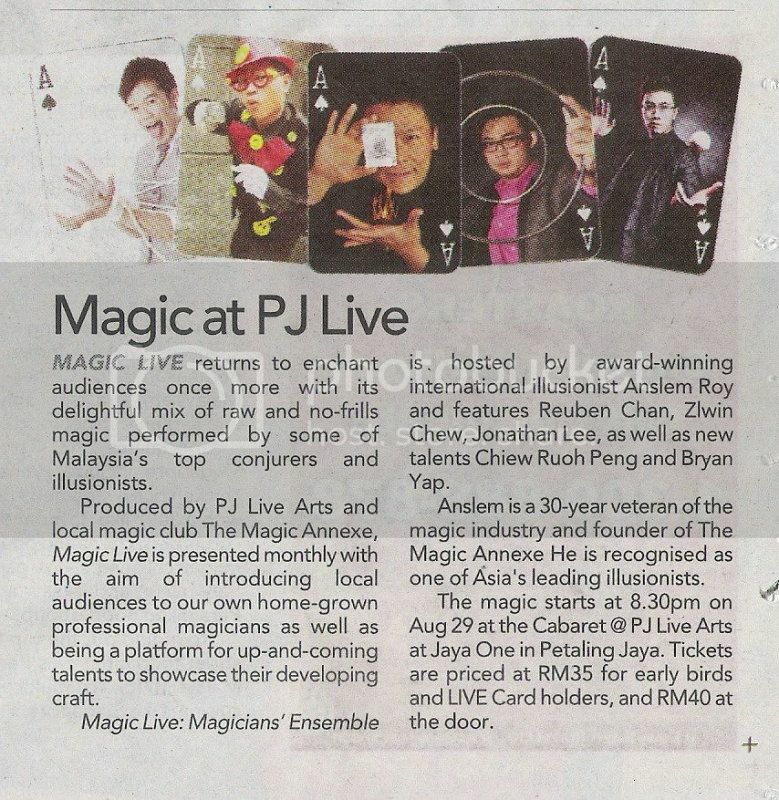 was a collaborative effort between PJ Live Arts and The Magic Annexe, showcasing various forms of magic performances by both, up and coming amateur and professional magicians. Season 1 being over, we sat down with The Magic Annexe founder Anslem Roy to find out his thoughts on the entire run. 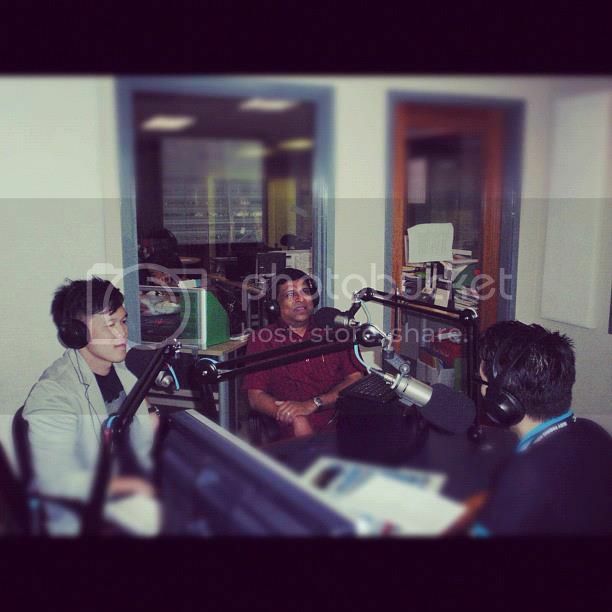 Anslem Roy and Jonathan Lee from The Magic Annexe were guests on BFM 89.9's "I Love KL" episode on Saturday, 25th August 2012 where they talked about Magic Live and also the science behind magic. Magic Live ! 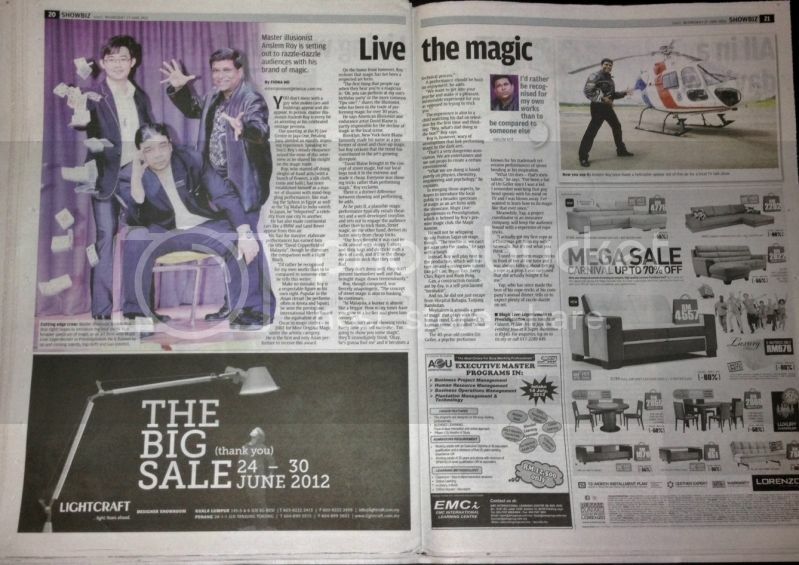 The Magical Assembly was featured in the Sun daily today. 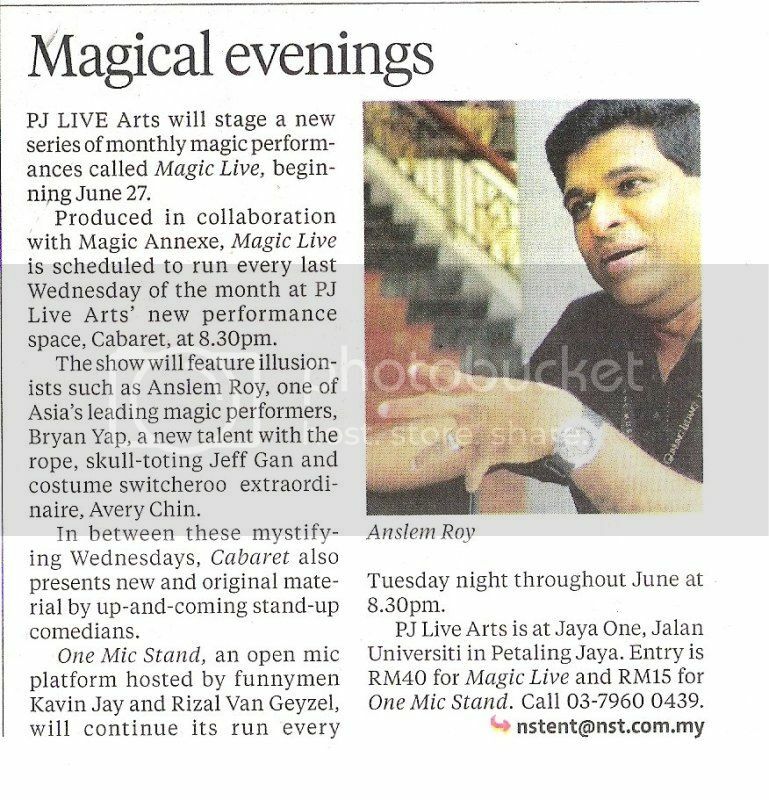 The Star, 27th June 2012.